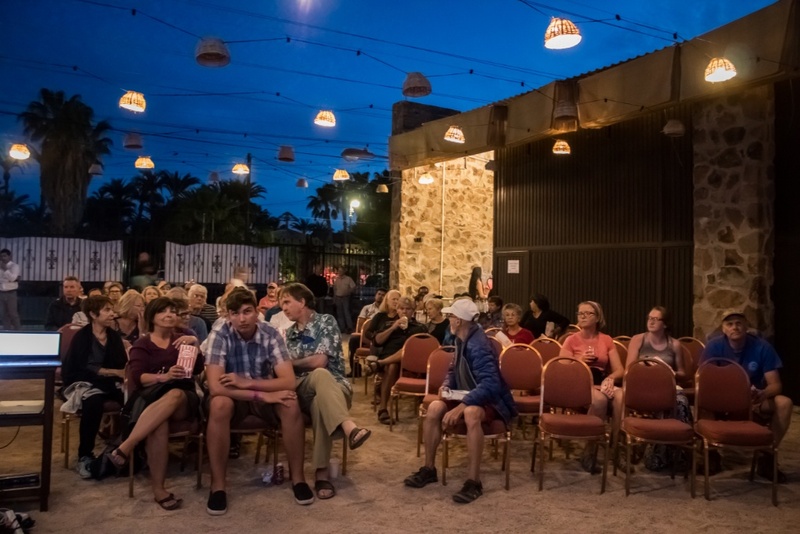 Film Festival 2018 Connects Community to the Ocean. 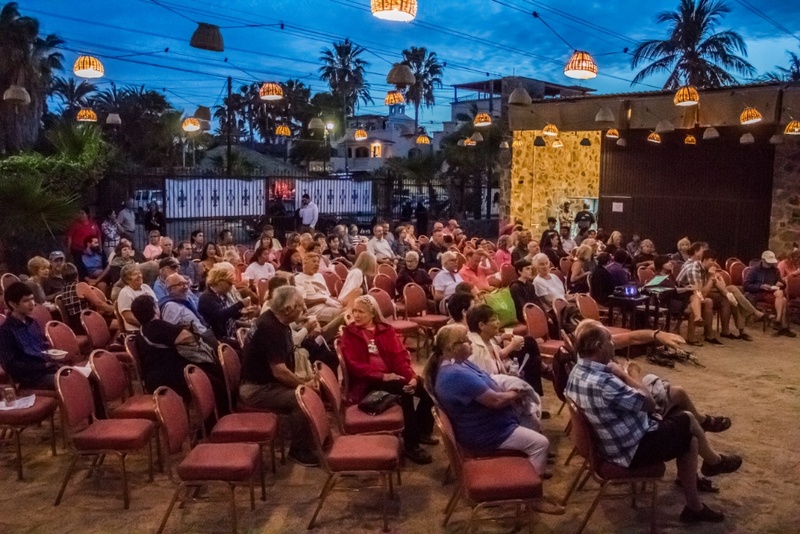 Eco-Alianza’s first annual “One Ocean Film Festival” accomplished its major goal — reminding us all that our beautiful Gulf of California connects us to the world, and that each of us is intimately connected to the sea. The March 23/24 event drew more than 340 viewers. 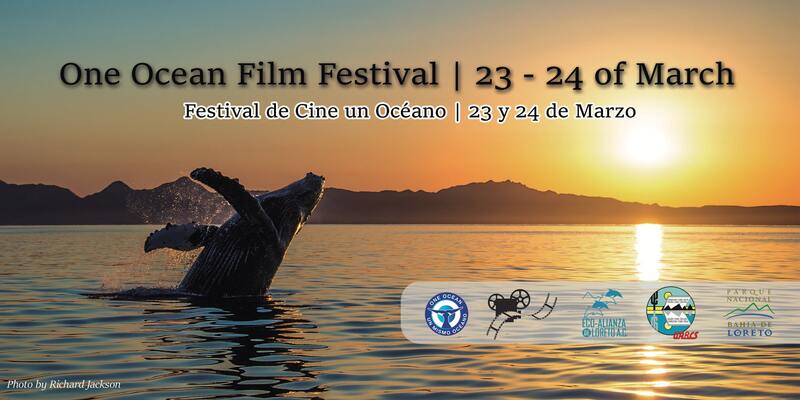 The festival’s four films were shot almost entirely in the Gulf of California, over a period of 25 years. 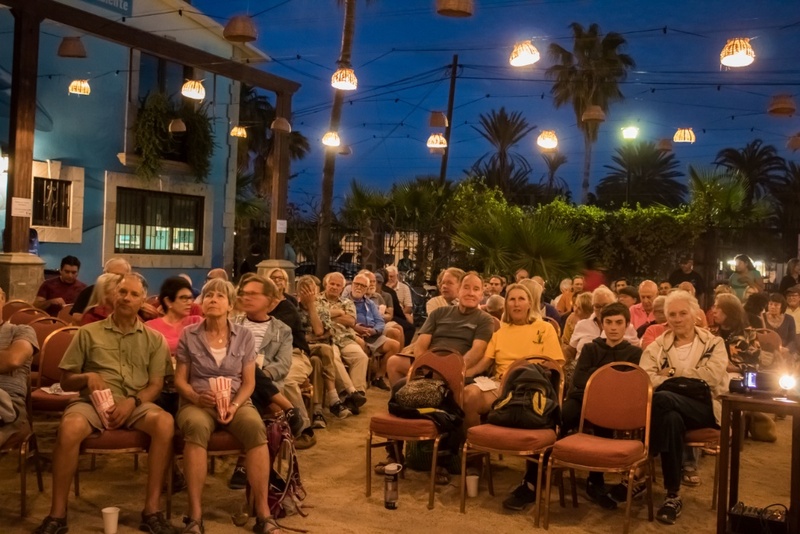 Accompanied by free popcorn, the films were screened in Eco-Alianza’s charming outdoor courtyard, under twinkling stars, and presenters each evening added commentary about the films and about conservation challenges for Loreto’s marine park and the greater Gulf of California. 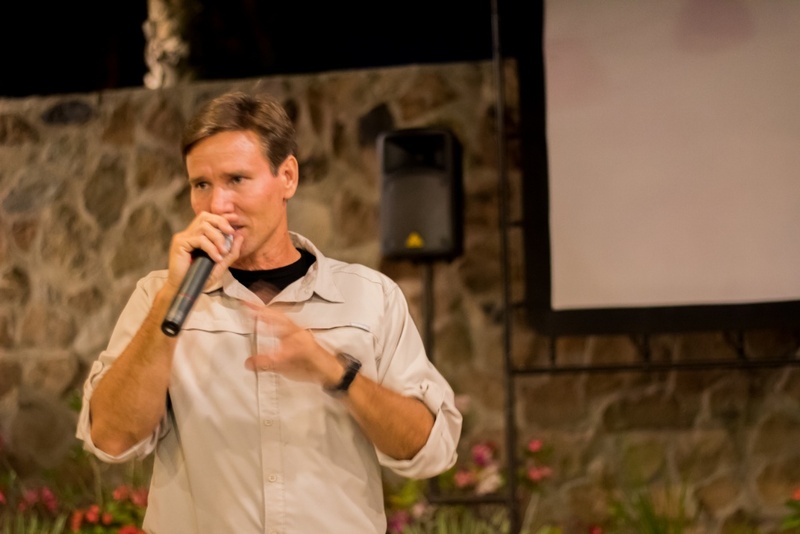 On the festival’s first evening, Emmy-award-winning cinematographer Johnny Friday presented Kings of Baja, highlighting massive creatures including the biggest of them all, the blue whale. Just as stunning, however, were giant manta rays (22-feet across at the wing-tips), whale sharks, and footage of striped marlin slashing through schools of small fish. The film represents 5 years and more than 600 hours of underwater shooting, Friday said after the film. 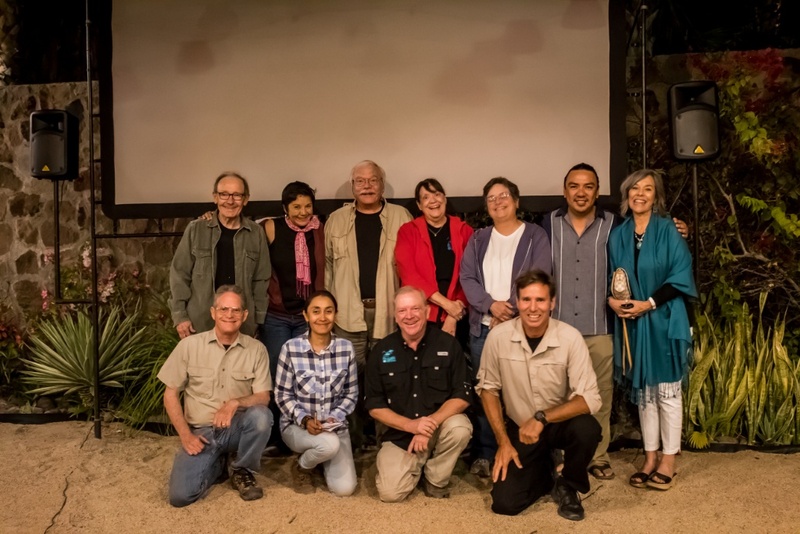 He also presented what he considers “the classic” Baja wildlife film, Howard Hall’s Shadows in a Desert Sea, which was released in 1993, some of it shot in 16-millimeter format. “As a filmmaker, I marvel at the techniques Howard used that sort of set a high bar for films that would follow, and how he did it back then when technology was so different,” Friday said. On Saturday, Director Eréndira Valle presented Azul Intangible, her first full-length feature. The film chronicles the highlights of her 25-day journey aboard a boat, The Sandman, as well as her personal journey connecting with the sea. Since producing the film, she has become a conservation leader, winning an award for her work rescuing net-entangled sea lions. 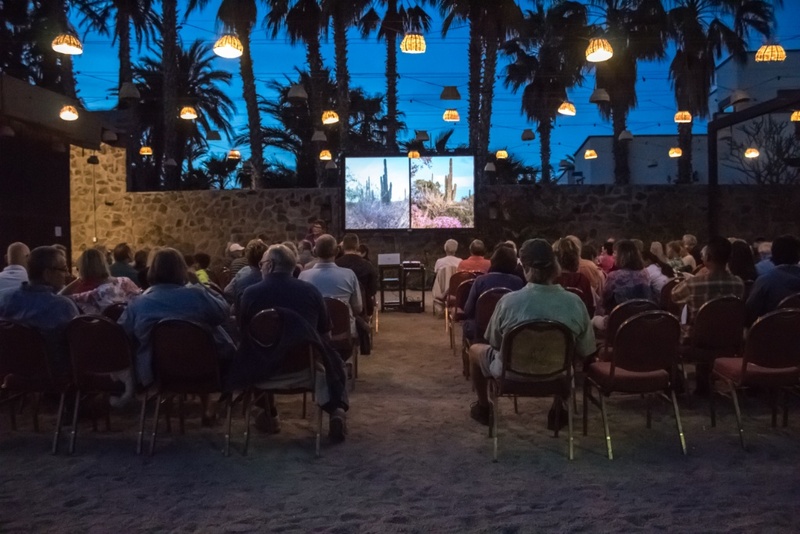 Judith Castro presented Mar Vivo, a short film documenting the work of her family and the Cabo Pulmo community in transitioning her town from a struggling fishing community to an economy based on eco-tourism. 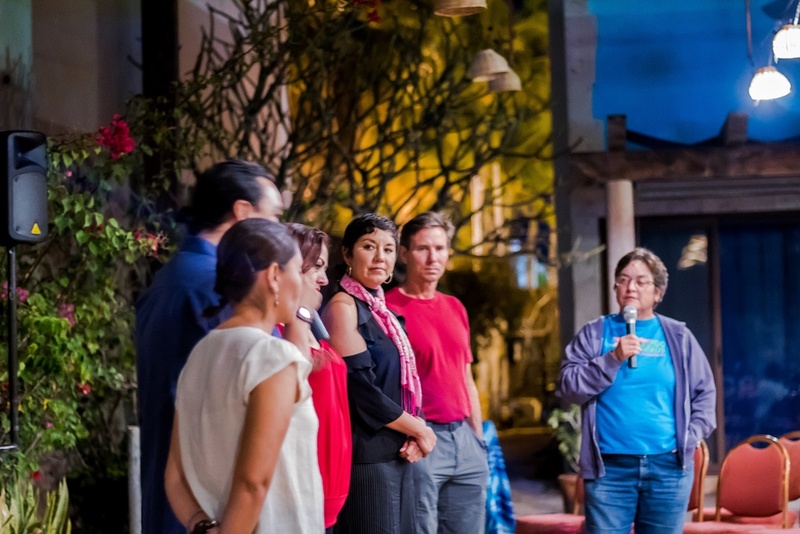 She shared with the crowd afterwards some of the struggles in defeating the construction of inappropriate mega-resorts on the border of the Cabo Pulmo National (Marine) Park. 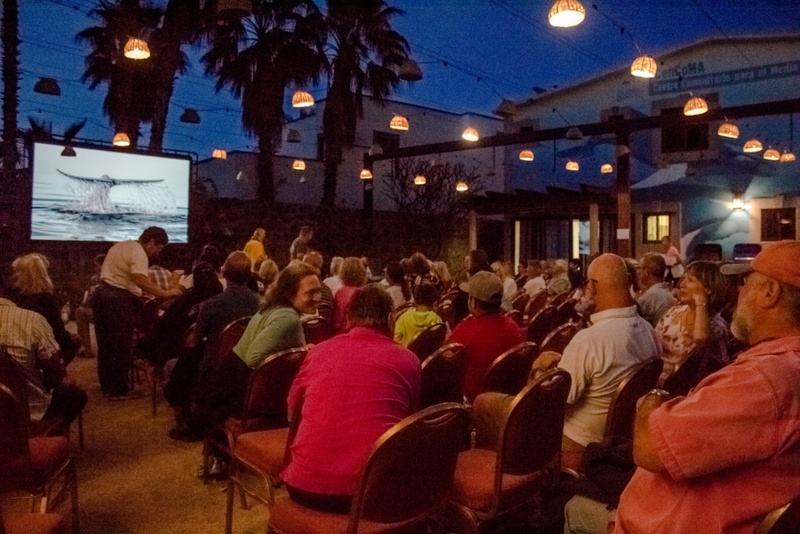 On both evenings, attendees were able to localize the films’ conservation themes through question-and-answer sessions with representatives from the Bay of Loreto National (Marine) Park. Sub-Director Israel Popoca and biologist/environmental educator Mariana Salgado talked about how their small staff approaches the challenges of supporting a park 29 times the size of Cabo Pulmo. Popoca said that because of the small size of the Park’s staff, they rely on the residents of the region, and on visitors to Loreto, to support the mission of the Park. He asked Park supporters to help by reporting any observed infractions of regulations, and by helping to keep the Park clean. Conservation of natural resources is also aided directly through volunteer programs, Salgado said, adding that dozens of volunteers spend hundreds of hours per year donating physical labor and specialized scientific knowledge.